Chickadees, to help us close out Arab-American Heritage Month, we're actually going to throw it to our guest contributor, Trey Stewart. You can read his previous articles on Jemma Simmons from Agents of SHIELD and the nontoxic masculinities of Star Trek elsewhere on the site. 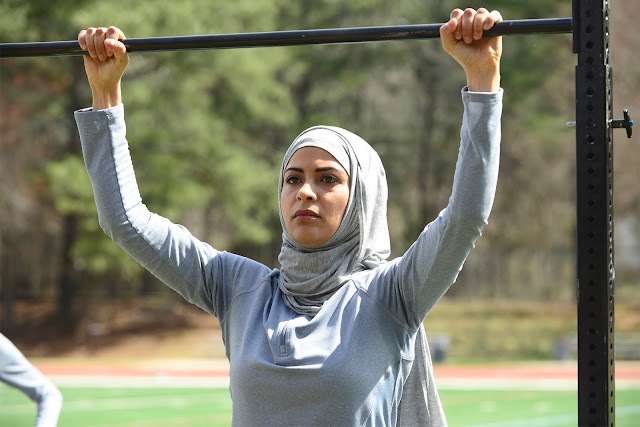 But for now, let's all settle in so he can walk us through some of the most interesting and challenging representations of Arab-American women currently on television: the ladies of Quantico. I must confess I haven’t seen Prince of Egypt, Kingsman, or Mr. Robot. Also, I haven’t read Bodies. I can say that Star Trek: Deep Space Nine is my favorite of the Star Trek series, so I’m pretty familiar with Dr. Bashir. And I have read a few things with Simon Baz as Green Lantern. What I'm getting at is that I’m pretty into sci-fi/comic book/nerd media and I suspect it says something that I have only seen a third of the series discussed this month. And it's not saying that I was busy watching other shows or reading other comics with their own awesome representations of Arab-Americans. It's really not saying that at all. Instead, what this points to is the sheer under-representation that Arab-Americans face in the media. The few positive representations they do get are frequently in obscure or more independent forms of media and it's easy for your average pop culture consumer to walk right past. In other words, it's easy to not even notice this lack of representation, so it's well worth talking about the representations we do get. 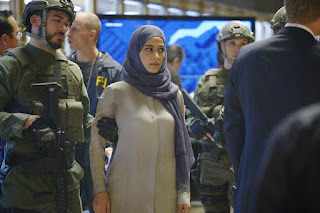 Today for Strong Female Character Friday, we’re going to talk about two characters from Quantico who represent somewhat opposing versions of Arab-American womanhood: Nimah and Raina Amin (Yasmine Al Massri). I’m not quite prepared to say that their characters are awesome but I can definitely say that they are interesting. Quantico is a mystery/thriller about a terrorist that infiltrates the FBI Academy at Quantico (hence the show title) and months later blows up Grand Central Station. The mystery comes from the fact that we, as the audience, aren’t quite sure who the terrorist(s) is/are. The show is set pretty much square in the middle of the issues of terrorism, religion, and racism that have become part of post-9/11 America. What I mean is that the show can’t avoid addressing these issues in some form or fashion due to its subject matter. The events in the series alternate between the trainees at Quantico and their time as agents during and following the above mentioned terrorist attack - Nimah and Raina are two of these trainees. And just so you know, SPOILERS. So we as the audience are introduced to Raina and Nimah while they are still at Quantico. What's interesting from the very beginning, though, is that Nimah and Raina are actually posing as a single trainee: Raina. Obviously, part of understanding their characters initially is figuring out why they are pretending to be one person. And given that anyone on the show is a potential terrorist, this initial deception makes you wonder if they might be the ones responsible for the attack. Then again, having the Muslim women be terrorists seems a bit obvious and heavy-handed. So it shouldn't come as a huge surprise that there is another big reason for Nimah and Raina to be deceiving their fellow students: the women are part of a plan to use twins to infiltrate terror cells. The idea is to have them take “shifts” posing as an individual member of a terror cell, relieving the intense stress and danger of undercover work. Which is super cool. But you still don't know for sure whether or not one or both of these women is guilty. Over course of the season, I have become convinced that Raina and Nimah probably aren’t terrorists. All of this, however, is ancillary to the real reason these two characters are interesting. Yes, twins pretending to be one person is a fascinating idea (thanks, movie about magicians that I kind of don't want to spoil by saying the name of), but there's more to Nimah and Raina's representation of Arab-American womanhood than just this. The really interesting stuff is how they differ. The biggest and most obvious difference is simple: Raina is a devout Muslim, wears a hijab, and is idealistic. Nimah is secular, does not wear a hijab, and is more pragmatic. Just by setting up this dichotomy, two women with the exact same family background and exact same career choice who diverge so much in their expressions of personhood and identity, Quantico has already made a big leap forward for the representation of Arab-American women. They're showing that there are at least two very different ways to be an Arab-American woman and that those two ways aren't necessarily better or worse, they're just different. More than that, though, there's something really worth noting in how both Raina and Nimah are training to become FBI agents. It's a pushback against the idea of Arab-Americans as "others". I mean, what's more American than trying to become an FBI agent? The characters wouldn’t be trying to join the FBI if they didn’t “love” America. And that's an important aspect of them as characters. They love their country and they want to protect it. One of the questions that comes up as you watch Quantico early in the season is why Nimah is as secular as she is. For us white Americans, it's easy to conflate Arab-American heritage and cultural Islam with devout Islamic faith. Nimah's characterization, then, is a reminder that it is entirely possible to be Arab-American and culturally Muslim without being particularly observant or even interested. It's an expression of her personhood and agency that she alone gets to choose her level of interest in her own faith. Again, by showing that these two characters can both exist in the same community and even in the same family, Quantico is expanding our understanding of what it means to be an Arab woman in America in 2016. And it's telling a pretty good story while it does it. Conversely, it's important to see a character like Raina too, a woman who is devout in her faith and even arguably sympathetic to the socio-economic and political reasons that might lead someone to engage in terrorism. This doesn't mean that Raina is a terrorist or condones terrorism, but it's a complex and frankly realistic view to point out that someone like her, who has studied a great deal about terrorism and what leads a person into that path, might understand and sympathize with the people on it. This kind of characterization pushes at our desire to dehumanize terrorists or "freedom fighters" or enemy combatants. And the revelation that Raina is sympathetic but not condoning forces us as the audience to expand our understanding to meet hers. Raina is phenomenal precisely because she is as devout as she is and expresses her faith with compassion and understanding of others. I personally always prefer characters who take their beliefs seriously and live them out. Raina's ability to express and live out her genuine faith makes her a compelling character. It also makes her a complicated one. I mean, can you think of another time you've seen a young Arab-American Muslim woman on television working in law enforcement and yet also feeling compassion for the plight of terrorists? Yeah. No. And it's hard to stress enough how radical it is to see a major television show where one of the main characters wears a hijab. 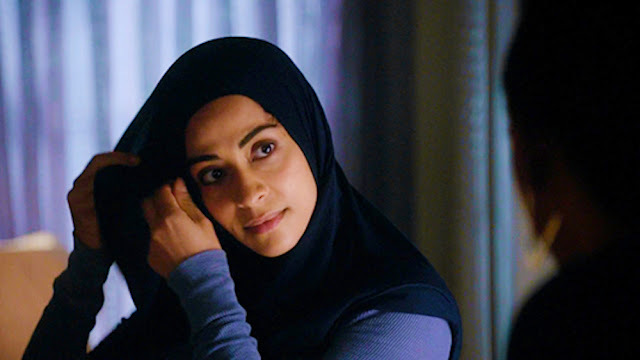 It is hard to overstate the significance of that, even if sometimes the show handles Raina's hijab rather clumsily - it's still a really big deal. But getting back to the main point, it's important to remember that while Raina and Nimah express different versions of Arab-American womanhood, they're not opposing versions. More recent episodes have moved on from the portrayal of Raina and Nimah as opposites, and that allows us to see both of them in a more holistic light. For most of the show, Nimah is basically pretending to be Raina - the atheist pretending to be devout in order to work on her cover. But it sometimes goes the other way as well. There are a couple of instances where Raina gets to pretend to be Nimah, and we are allowed to see the emotional weight and responsibility that this carries. It's not just seeing a devout Muslim woman take off her hijab - though that is part of it - but it's also seeing Raina choose to be where Nimah's at. In other words, it's a version of the story we very rarely see in Arab-American women, a willingness to experience both sides and decide which one is preferable. And it certainly doesn't hurt their training goals. Currently, during their time at Quantico, Raina and Nimah are trying to build a cover identity that is somewhere between perfect Muslim and perfect atheist, in Nimah’s words someone that is a “sinner” and that might believably be attracted to a terrorist cell. Even in their undercover work, the women are expanding on preconceived notions of what an Arab-American woman is "supposed" to look like. Look. 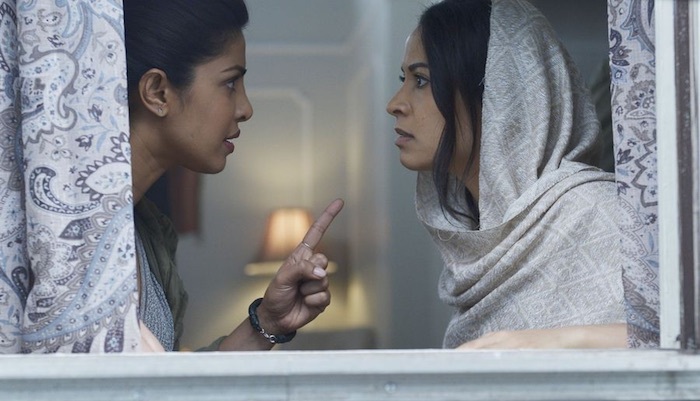 Raina and Nimah Amin are not perfect characters and Quantico is not a perfect show. It's a good show, though, and it's trying. It tries very hard to take a subject we all assume we understand - terrorism and FBI training and law enforcement - and subvert our expectations. 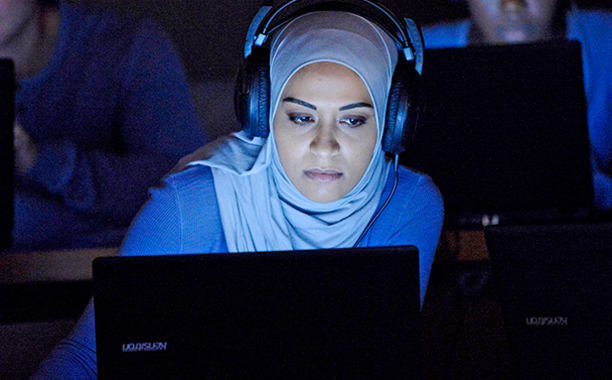 By giving us two Arab-American women as major characters and allowing them to be very different from each other, Quantico validates an understanding of the diversity of Arab-American life. But because so much of the show is wrapped up in mystery and tension and drama, it's hard to really feel like these women are being shown to their fullest potential. Ultimately, one show isn't going to fix the major problems we have with Arab-American representation in the media. It can't. What can fix it is a lot of shows over time. And books and movies and comics and games and songs and silly youtube videos. Quantico isn't perfect, but it's a pretty good place to start. Trey Stewart has his PhD in Educational Psychology from the University of Alabama. He recently started his own education research consulting/tutoring business. He's been enjoying Quantico so far. So far.